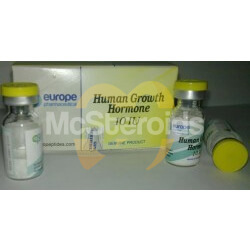 Human growth hormone has produced many names, a peptide and one of the most anabolic hormones is available is the man to build mass. 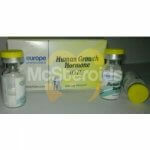 The HGH plays a very central role in the early years of our childhood during the growth spurts often occur there. The natural production and secretion of GH occurs place mainly during sleep and is influenced by different factors, such as our diet and exercise. 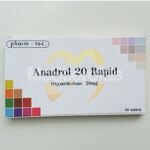 After its release into the blood by the pituitary gland HGH has very many features. Human growth hormone is a protein which causes a size growth and accelerate cell division in the cells. In addition, it also speeds up the transport of amino acids into the cell and the subsequent production of proteins. 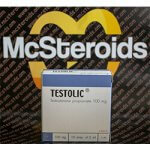 – It is obvious that a hormone with these properties highly anabolic (muscle building) effect. Another interesting feature of the growth hormone is that it noticeably shifts the energy in the cell of carbohydrate combustion in the direction of burning fat. 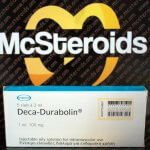 It is one of the few steroids which can effectively build muscle and lose fat at the same time. In addition, HGH also improves endurance performance of any athlete very strong and can not yet be detected by drug tests. Somatropin is one of the most anabolic hormones in the human body: endurance athletes on HGH which took a break between persistence units were in an anabolic phase (6). Under normal circumstances, each person would be state after 20-30 minutes of aerobic exercise in a total catabolic (muscle-depleting), but on HGH you can apparently even run marathons and still build muscle. Growth hormone can accelerate healing in cases of infringement, because it stimulates the production or reproduction of cartilage. 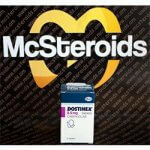 This is done by the liver, which by the action of HGH somatomedin, better known as IGF or IGF-1, secretes. IGF then directly supports the formation of cartilage. Somatropin (HGH) is produced mainly in the growth phase of early childhood where it stimulates directly the growth in length of the growth plates of the bones. With age, the body produces less and less then GH, which is also the reason that it has long been considered a life-extension drug, but it turned out to be false. The most possible side effects include carpal tunnel syndrome (joking in the wrist by pressure on the median nerve), acromegaly (enlargement of the limbs, skull bones), organ growth, gynecomastia (feminization) and water retention. Other side effects are possible because somatropin very wide and thus also acts alongside wide. Dosages vary between two very 1IU to 6IU somatropin per day. 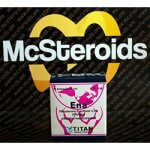 If you want a safe and effective dose, which should move from 0.018 to 0.028 IU per day per kilogram of body weight. These are 1.8 to 2.8 IU daily for a 100kg bodybuilder. A Growth hormone cycle must take to be effective for building muscle at least 3 months, as the first results usually show up only after 2-3 months.  Many bodybuilders make six-month cycles or take somatropin non-stop.